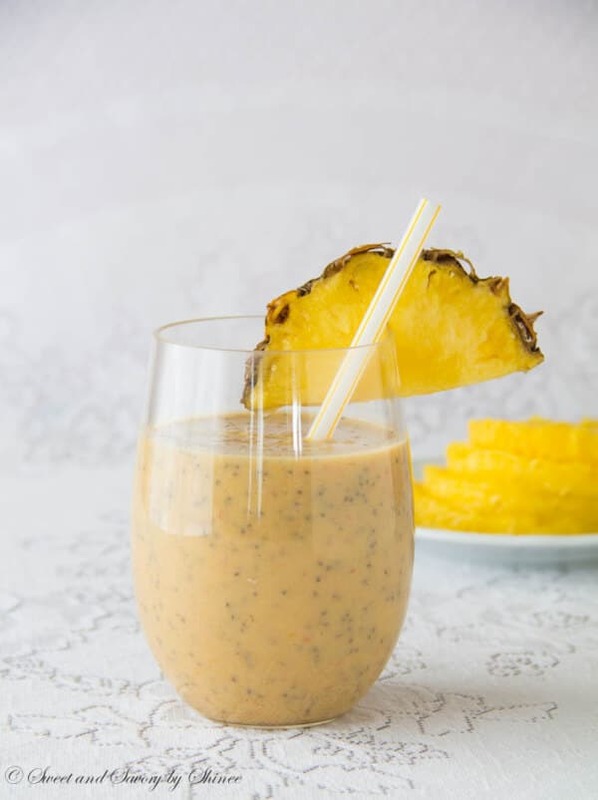 This citrusy delicious Pineapple Citrus smoothie is great for your digestive system and weight loss. As you might know, I just recently came back from my honeymoon in Hawaii. Wow, what a place, simply paradise! Fresh fruits are everywhere. 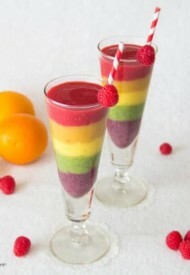 Every day hubby and I had fresh fruit smoothie while we were there. So, so good. Pineapples were the best, of course. 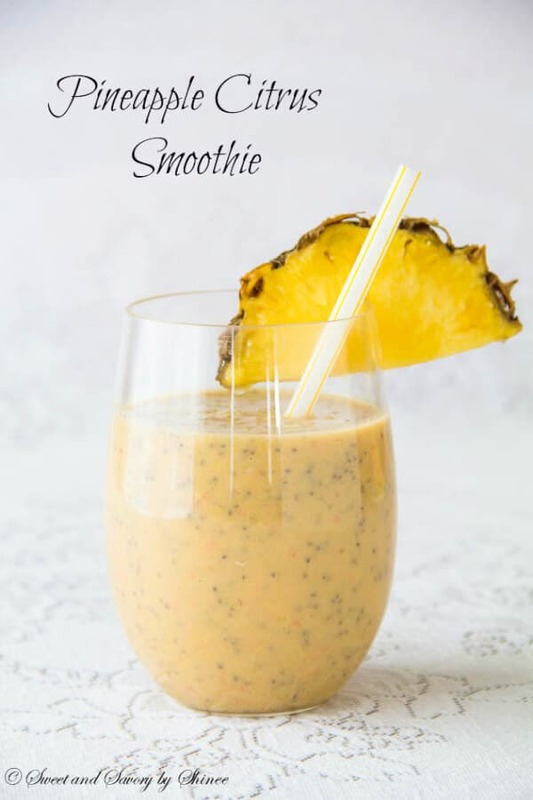 Today I’m sharing with you this Hawaii inspired Pineapple Citrus smoothie. 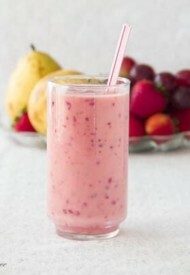 This smoothie is rich in Vitamin C. Prune juice promotes a healthy bowel movement. 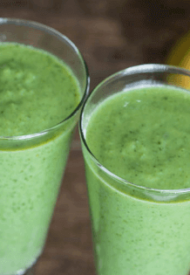 Basically, it’s a good smoothie to cleanse and energize your body. 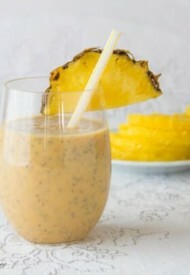 You will need pineapple, orange, grapefruit, prune juice, Greek yogurt, chia seeds. If you don’t like sourness of grapefruit, you can easily omit it. However, prune juice nicely balances the sourness of grapefruit. 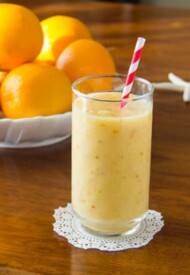 This citrusy delicious smoothie is great for your digestive system and weight loss. 1. Peel and cut orange and grapefruit in small pieces. 2. 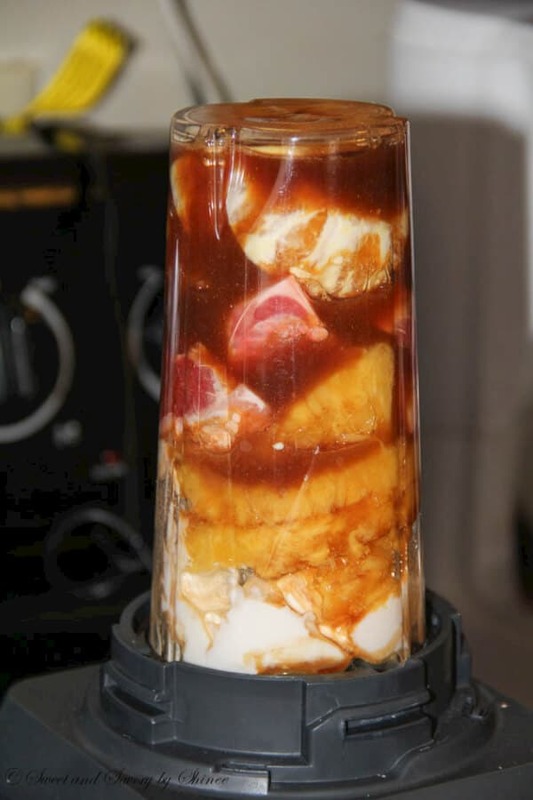 Place all the ingredients in the blender and blend away. 3. Stir in chia seeds and serve.